Dubai: The ongoing T10 League may soon expand outside the UAE, according to its title-sponsors. The second edition of the league, which saw an all-round growth with an addition of two teams and a longer format, will conclude on December 2. Speaking to Gulf News, Zahid Hussain, chairman of Ghalia Group said they did not step in to support the format just for this year but has bigger plans around this newborn format. “We have not come in just for this season. We hope to be back for next year while our bigger plan is to develop products in both the T20 and T10 in countries where there is a substantial ex pat population from the subcontinent,” said Hussain. The Sharjah-based company, which has got varied interests in crude oil and gas, refined aviation jet fuel, mining and investment, stepped in as title sponsors of the league last month and look to add cricket as part of their portfolio soon. While not willing to spill the beans yet about his expansion plans, the founder of Ghalia Group hinted that pockets of such expat group in the US, Europe will be under the radar while his agenda is also to “professionalise” the operations in the ongoing T10 League in Sharjah in future editions. 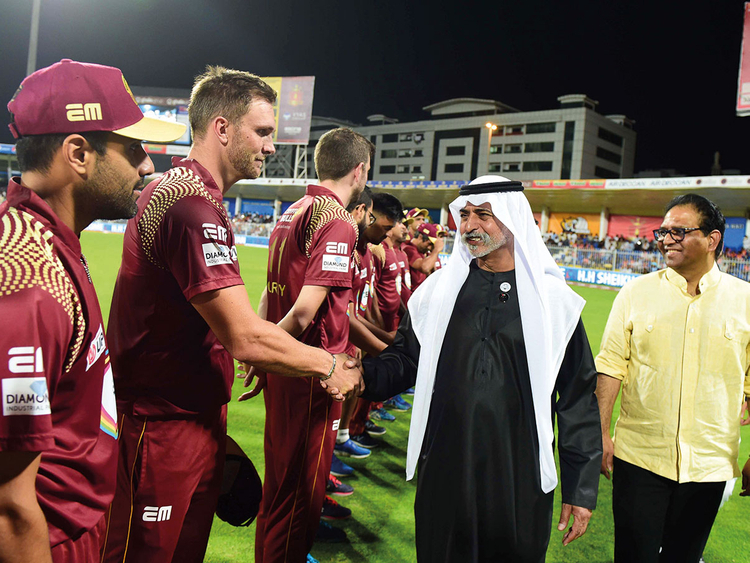 “The impact of the new league on cricket-loving public in the UAE is for all to see. While people looked at it rather lightly last time, the quality of players ensured that the intensity of the action also increased this time. Last night, Maratha Arabians scored only 91 but during the chase, they did not give an inch and ensured that the fight went till the last over. At the end of the day, the quality of cricket has to be good if one has to take the league seriously,” Hussain observed. What was it in the concept that caught the fancy of the sponsors, given the fact that the league had faced a troubled run-up this time around? “When the offer came, I thought that with cricket evolving rapidly, here is a format which may appeal to the next generation. “When T20 first arrived a little over 10 years back, there were a lot of naysayers about it — but it’s the most popular format today. However, if you look at T20 closely, you will find that after the first six overs of power play the action slows out a bit and again picks up towards the death overs. In T10, there is no such breather as it offers a more compact format inside 90 minutes,” Hussain said. Looking ahead at the possibility of the T10 League being spread across other venues in the UAE in future, Hussain said they will take stock of all possible options. “We will look at the possibility of staging it across two venues like Sharjah and Dubai or the ways of giving a better experience in Sharjah itself,” he added.